Is sharing and accessing data a challenge? Without detailed data, what is your analysis missing? With .BIGTM files, you can securely download millions or even 100s of millions of rows easily and quickly – from within your existing tools (ERP, CRM, BI/Visualization platform, Custom Databases). Unlike other data files, .BIG files download quickly. .BIG files are small – 24x smaller than CSVs (and 3x smaller than zipped CSV files). .BIG files won’t clog your email – making them great for sending to partners. 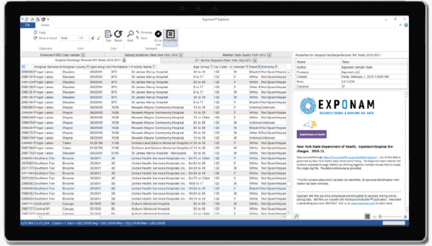 The Exponam ExplorerTM application enables you to instantly view, filter, and sort .BIG files. You can find data and transfer it seamlessly to MS Excel. Or, keep using the same BI tools you do in the office – but disconnected, from the .BIG data file on your laptop. And best of all, .BIG files are ultra secure – so your data is safe – even outside your office. Send it to colleagues, partners, or vendors – it’s secured with industry leading encryption and access controls. Are you compromising on data accessibility? Secure and Empower with .BIG files. .BIGTM data files enable easy downloading, exploring, and sharing of data – big and small. .BIG files are architected to be the most impenetrable data vehicles on the market. They enable you to securely share and control access to data, even when the files are outside of your secure perimeter. Passwords: .BIG files can be password-protected. The password is protected with SHA256 and a randomly generated salt for each file. SHA256 is a National Security Agency (NSA) Type 3 encryption product endorsed by NIST and published as the FIPS 180-2 specification. To thwart brute-force attacks, the Exponam ExplorerTM enforces a three password attempt limit, with exponential back-off between attempts. Not enough? 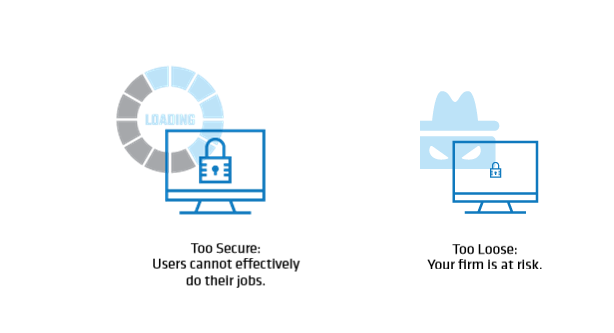 Exponam Explorer also support multi-factor authentication. File Provenance: Every .BIG file is stamped with the publisher’s identity, encoded into its encrypted license file. The publisher and file attributes are tamper-proof. When viewing a .BIG file, a user can be confident that the publisher is genuine, the file properties are accurate, and the data is unaltered. Want More? : Centrally and dynamically managed permissions and access controls enable effective entitlements management. Turn off access to files already in the field. Control sensitive GDPR or HIPAA governed data. Is transferring large volumes of data causing operational risk? Cut the time. Cut the risk. re-run if processes fail? What is your operational, technical, regulatory, and reputational risk if processes fail? .BIG files, optimized for securely sending and ingesting, cut data transfer times by >70%.